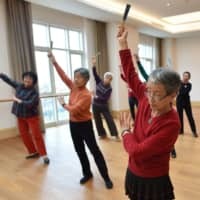 BEIJING - At a gated community for senior citizens on the outskirts of Beijing, retired military personnel, film-makers and top university professors settle into a new routine: ballet lessons, weightlifting and catered dining. 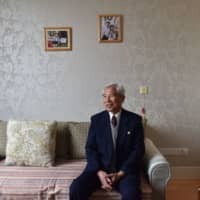 As China’s population ages rapidly, and with parents having only a single child to help them in their old age, the upper crust are spending their last years in community luxury. Though high-end institutions like Yanyuan, which boasts an on-site hospital and on-call staff, are still few, they are part of a growing industry as the country races to develop enough elderly care support for its exploding population of senior citizens. 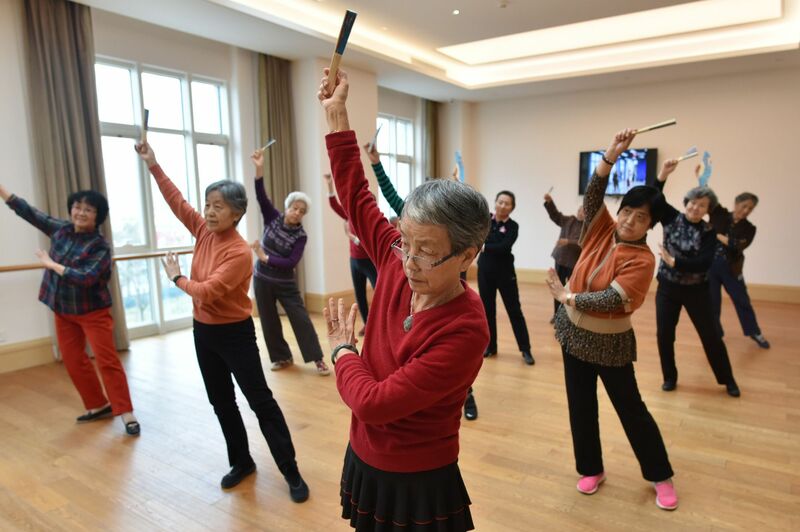 By 2050, 1 in 3 people in China — 487 million people — will be over the age of 60, according to the official Xinhua news agency, more than the entire population of the United States. In the past, parents could count on their children for care in their twilight years under traditions of filial piety. But as China reckons with its one-child policy, which was aimed at curbing population growth, couples are now burdened with raising their own children while supporting both sets of parents — without the help of siblings. To tackle the country’s looming aging crisis, the Chinese government is trialing a number of policies, including preferential tax policies for providers of elderly care services. At Yanyuan, which is run by the insurance giant Taikang, residents can either buy into the company’s 2 million yuan ($290,000) pension plan or make a down-payment of 1 million to 2 million yuan ($145,000 to $290,000) on top of monthly living expenses of at least 6,000 yuan ($870), not including the food budget. Publicly run nursing homes, on the other hand, can cost less than $1,000 a month or offer subsidies to residents but are often viewed as a last resort for China’s more destitute senior citizens. Some industry experts are wary that private firms will focus on providing lavish retirement villages for long-term residency rather than creating nursing homes for those who cannot take care of themselves. Vivian Lou, an associate professor at the University of Hong Kong who studies long-term care, suggested healthy 60-year-olds could enter such villages for seniors and remain there for 20 years, during which time no one else could take their spot. “This then becomes a housing solution,” she explained. 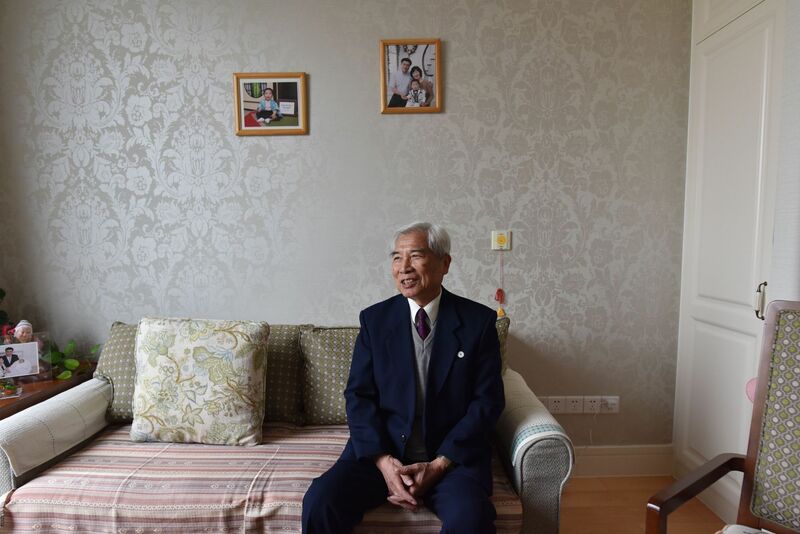 For China’s aging elite, many of whom already live in the major cities, their children may be living overseas or simply too busy building their own high-powered careers to look after relatives. “I can’t rely on them,” said Zhu Mingyi, an 82-year-old retired professor, who used to teach languages. His daughter lives in Beijing working for an international broadcaster, while his son is in Japan.